Fuchsia by Izumi Tahara is a jewelry brand. 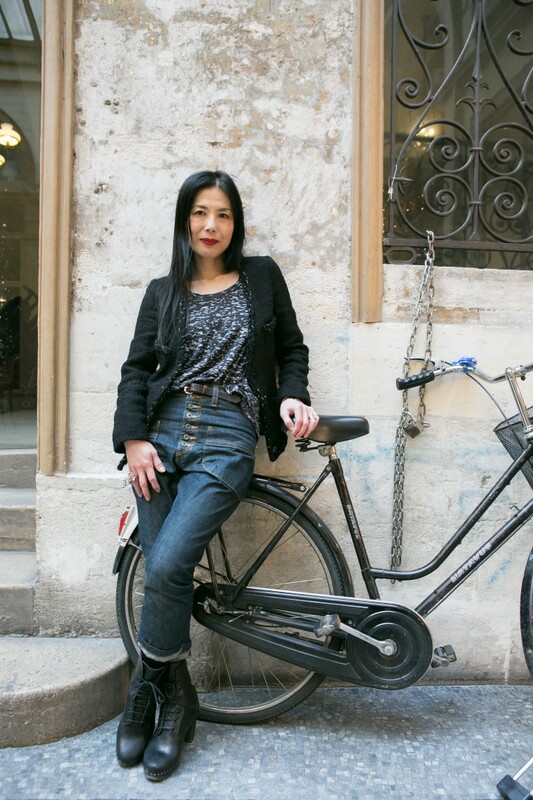 It all began in 2002 founded in Brussels by Japanese designer, Izumi Tahara. After several years in the clothing industry, vintage lover Izumi decided to devote herself entirely to her passion for collecting vintage costume jewelry. Inspired by the work of paruriers (jewelry maker for haute couture), she started to make jewelry herself. In the meantime, she launched the one-of-a-kind vintage remade clothing collection exclusively for the Tokyo based multi-brand stores, ‘point de mignon’. Then since 2011, Izumi debuted a small jewelry collection. 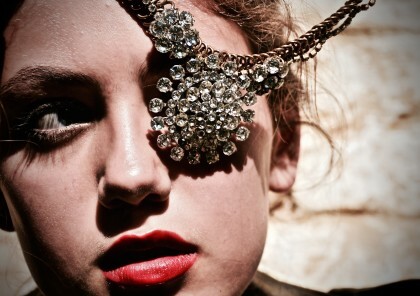 Her creation is one-of-a-kind jewelry, featuring antique and vintage elements. Fuchsia by Izumi Tahara makes the rebirth of the vintage timeless pieces. And now, in 2015 Izumi has focused to create her jewelry collection. The brand’s name of “Fuchsia” is the designer’s favorite color and also the name of the pretty flower like a jewelry. All jewelry is one-of-a-kind and made by designer herself in Brussels. For the custom-made pieces, the client chooses the vintage elements among the designer’s vintage costume jewelry collection, then mix with another elements. This becomes very special and the only one jewelry for only one person. Colorful candy like one-of-a-kind jewelry using 70s Czech vintage buttons mixing small vintage elements and chunky gold raw brass chain. One-of-a-kind statement pieces mainly using clear rhinestone vintage costume jewelry of different decades and chunky gold raw brass chain. Its style is gorgeous, but also wearable on T-shirt and denim style to add a touch of rock’n roll. 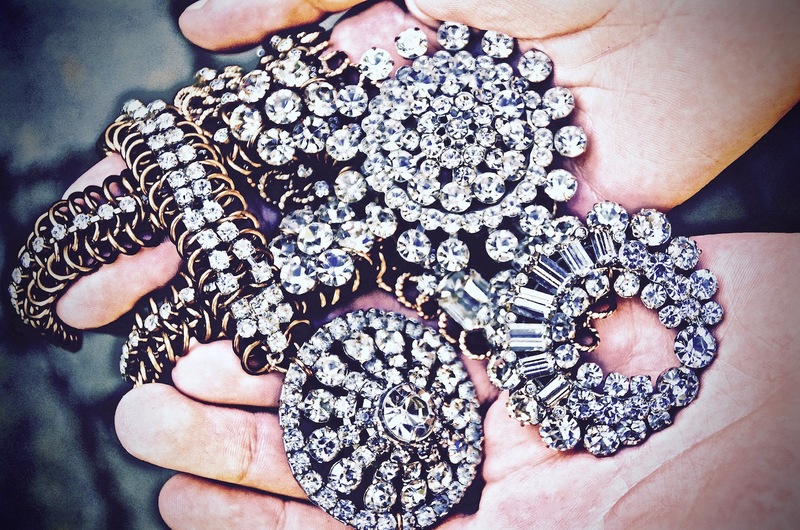 As well as Vintage Renaissance, this one-of-a-kind statement pieces are mainly mixing clear rhinestone vintage costume jewelry and chunky gold raw brass chain. These costume jewelries have its own value and rarity. These jewelries have purely unique beauty. 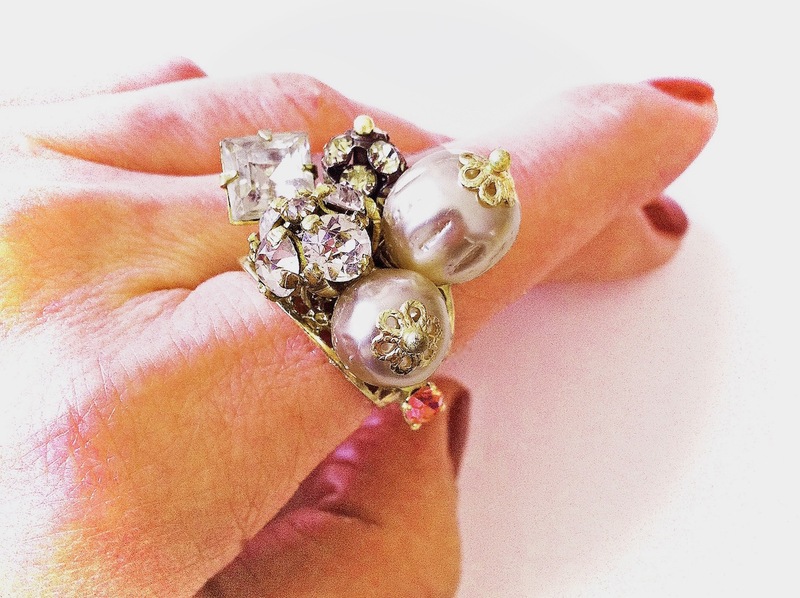 Perles Baroques collection is the one-of-a-kind pieces focused 50s Miriam Haskell’s old stock baroque pearls. And also mixing vintage costume jewelry and Victorian era buttons or Czech vintage buttons. 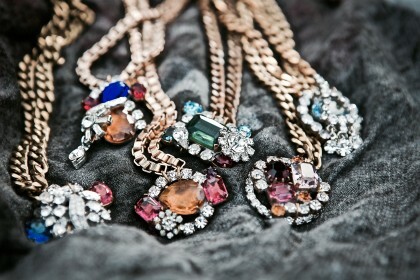 These jewelries are cool and elegant.